06 Jul 2017 --- The Irish Beverage Council (IBC) have highlighted a new World Health Organisation (WHO) Europe report showing 11-15 year olds in Ireland who consumed sugar-sweetened soft drinks on a daily basis, fell by 70 percent - from 37.3 percent in 2002 to 11.1 percent in 2014. Daily fruit consumption increased 26 percent, currently at 41 percent. Daily sweets consumption decreased 49 percent, currently at 24.8 percent. Moderate-to-vigorous-intensity physical activity of 60 minutes or more a day decreased 4 percent, currently at 26.9 percent. Vigorous-intensity physical activity four or more times a week decreased 4 percent, currently at 54.8 percent. “The results prove that a holistic approach is needed to tackle childhood obesity. The singling out of the soft drinks industry by way of the proposed sugar-sweetened drink tax is unjustified. 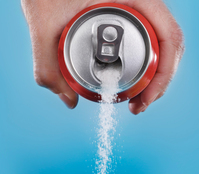 11-15 year olds who consume sugar-sweetened soft drinks on a daily basis has reduced sharply from 1 in 3 in 2002, to just 1 in 10 in 2014,” explains Jordan.